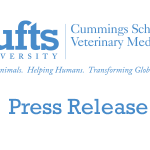 In a week designated for giving thanks, the Cummings School of Veterinary Medicine today announced the funding of eleven small grants to local nonprofits in appreciation of their work in its host communities of Grafton and Westborough, MA. The Cummings School Service Fund awards—which range from $300 to $500 each—will support local efforts including an adult English language program in Westborough, sponsorship of two high school spelling bee teams in Grafton and assistance for local towns in developing disaster response plans for animals. 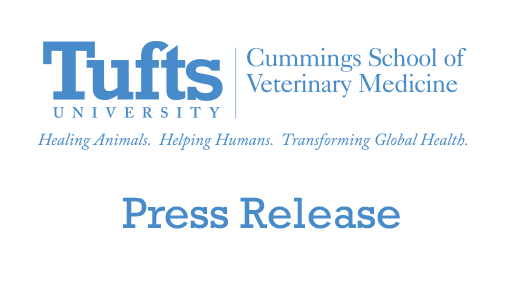 Each of the programs assisted by the Cummings School’s Service Fund shares our mission of service to the local community through sustainability, education, and the wellbeing of animals, people and the environment, said Deborah T. Kochevar, DVM, PhD, dean of the Cummings School of Veterinary Medicine. We are proud to support them, just as our host communities support us. Westborough Youth and Family Services’ Hot Summer Nights program, which provides teens free or very low-cost activities. The Cummings School grant will be allocated for supplies and transportation. Grafton Educational Alliance’s Community Spelling Bee. Cummings School funds will be used to sponsor two of the GEA‘s high school teams, as well as to help fund a scholarship program. The Central MA Disaster Animal Response Team, a volunteer organization providing pet resources and assistance for disaster victims. CMDART will use the funds to assist local communities in developing response plans, as well as hosting an emergency sheltering program. Grafton Lions Charities, hosts of the Annual Concert on the Common Independence Day celebration in Grafton. An adult English language program at St. Luke’s parish in Westborough. The vet school funds will help pay for teachers, textbooks and workbooks. The Grafton Land Trust, which will host a local program on trees in the town’s forested areas. St. Andrew’s Episcopal Church, which will host four free children’s activity days at the North Grafton Public Library. Girl Scouts of Western Massachusetts Troop 30555, which will host two Styrofoam recycling events in Westborough. Apple Tree Arts, which will expand its music outreach to underserved communities through four programs with local Head Start programs. The Grafton-based Community Harvest Project, which plans to use the Cummings School Service Fund award to purchase 74 harvesting baskets that volunteers can use to gather food. St. Mary’s Church’s Market Sunday program. The Grafton-based initiative provides hunger relief to 20–50 local families in need; the funds will allow the church to purchase a cabinet to sort and store donated food items. Applications are reviewed annually by the school and given priority based on their ability to address community-identified needs. Projects with relevance to education are encouraged. For more information on the Cummings School’s community outreach activities, please visit the Community Programs site.